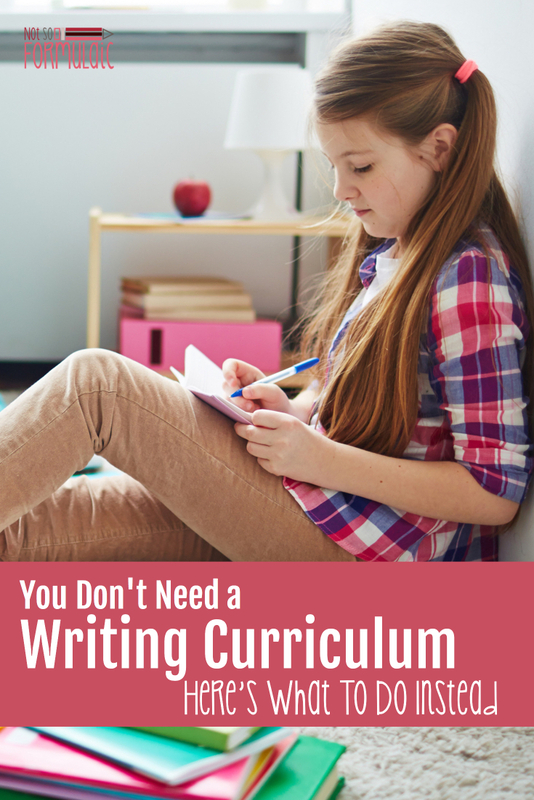 You Really Don't Need a Writing Curriculum. Here's What You Need Instead. 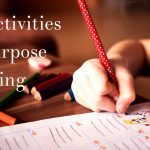 Want to teach writing without a curriculum? You’re in luck – it totally can be done. Build critical thinking skills and raise thoughtful, engaged writers when you let go of your writing curriculum. Some subjects are just plain scary. They struck fear into our hearts as late high school and early college students, required courses we had to slog through in the mud. And then, there’s writing. It’s supposed to be simple, right? Start with letter formation, then sentences, then paragraphs, then essays. Presumably a much simpler process than exploring complex equations or theories. For a lot of people, composition instruction is terrifying. Parents, students, and even professional educators find it daunting without some sort of help. The focus turns not toward creating a culture of writers and thinkers, but toward finding the magic pill: there has to be a program or curriculum out there to guide us in our efforts, to prevent gaps in our children’s educational growth. But here’s where the issue gets sticky. 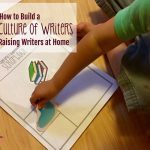 In order to lead others in their efforts to teach writing, the organic process – the culture – is broken down. It becomes a plug-and-play formula more suitable for baking than communication. The experience leaves everyone – both teachers and students – devoid of that critical, creative spark. 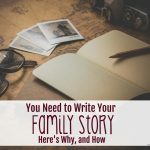 As I’ve walked through my own journey as an educator, both in the classroom and as a homeschooling mom, one aspect of composition instruction has become undeniable. So. What happens when you drop your writing curriculum? I get the fear – I do. If you don’t have a curriculum to take you up the scaffold, how will you ever build the parapet at the top? Let me ask you a question, though, before you write me off entirely. What is your goal when it comes to teaching writing, and how best will that goal be achieved? If your goal is to prepare a child for college and real word, I have some unsettling news for you. The vast majority of college freshmen – yes, even homeschool graduates – end up taking remedial writing courses, even though they got all A’s in school. How do I know? I’ve been on both sides of the classroom, first as a high school educator and then as an adjunct prof. 75% of my college level students earned A’s and B’s in AP/IB courses. I taught Developmental English – the course for students unprepared for English 101. It wasn’t a failure on the part of previous teachers. It wasn’t their parents, nor was it the school system at large. Truth be told, it was the realization of a concept a favorite graduate professor once shared with me: the adherence to form over content in most secondary writing curricula kept a large number of first-year college students from succeeding. So trapped were they in prescriptive, formulaic writing, they couldn’t write their way out of a five paragraph paper bag. This is why I advocate for dropping your writing curriculum. Not because I’m some crazy, anti-authoritarian weirdo (I am Catholic, after all), but because most standard, common curricula are so focused on form you can’t get a word in. Isn’t that what writing’s all about? Current writing curricula box you into a prescribed form of writing. Each genre is taught in isolation, so you can’t see how form blends and moves. The strongest writing, the most forceful and evocative, uses elements of composition from across the literary spectrum. Take Thomas Jefferson, Martin Luther King Jr., or Alice von Hildebrand. Can you think of one five-paragraph essay among them? Of course not, because it’s not real-life writing. Instead, it’s one our kids have to break out of and unlearn. After my daughter’s first IEW class in co-op, I found this gem in her binder. I probably should have been more reticent when it came to my own displeasure with the program, and yes – I did talk to her about the importance of respect and follow through. But what she clearly communicates in this image is a refrain that grew more serious. The program’s overt attention to inconsequential detail made her self-conscious. It wasn’t just damaging her writing – it was damaging her self-worth. Fortunately, the minute we quit the co-op, the more comfortable she became with writing. She has stories and articles aplenty, not a single one of them featuring a clincher or a dress-up. All she needs is a comfy place to write and a pencil as she’s golden. We’re all much happier, too. Think back to your high school math classes. How often did you complain about its irrelevance to your future, uttering the question, “When am I ever going to use this?” The same could be said for academic, curricular writing: there’s often only one purpose behind the pen. Students are writing for a grade, in isolation. Effective communication and the sharing of ideas are the lowest priority. Instead of learning life skills, they’re meeting word counts in pursuit of an A. Letting go of that mindset builds a new way of thinking. It opens doors for their writing they’ve not thought of before. Like math, writing is a skill they absolutely will use out in the real world. We owe them the opportunity to try it. Clearly, there are benefits to dropping your writing curriculum. But the application can seem daunting at first blush. How will you know what to teach, and when to teach it without a curriculum? Simple. You view it through a different lens. Writing should be a normal, natural part of your day. Start early with scribbles and lines for the littles; tell stories and record all the cute things they say. Leave notebooks and pencils in strategic places; build comfy writing nooks in the corner of a favorite family room. The more accessible and normal writing is, the better. It’s not a shock to the system if you’ve been doing it all along. At its heart, writing is a conversation. What better way to support the development of that skill than through conversation itself? 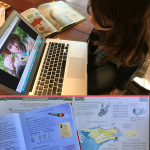 Reading across the curriculum and from varying genres will not only expose a writer to elements of style, it will serve to develop necessary thinking skills. Through discussion, writers learn to ask questions and think critically about them, discovering not just what they believe (the thesis) but why they believe it, too (the defense). In grad school, I took a creative writing course with the storied Alan Cheuse. A terrifying teddy bear of a man, Alan held court in a musty old classroom, insisting we read everything we could get our hands on first, before putting pen to page. Through the study of varied literature across authors and genres, I was better able to analyze the different types of writing and use that as a springboard for my work. I developed a stronger grasp of style and grammar through imitation; I found my own rhythm somewhere between Hemingway’s staccato and Plath’s command of verse. For our children, this task is second nature: they imitate so often through their play. They’ll build a singular voice and style by listening to the lilt of other literature and then imitating it. It’s much more natural (and tolerable) than copy work. 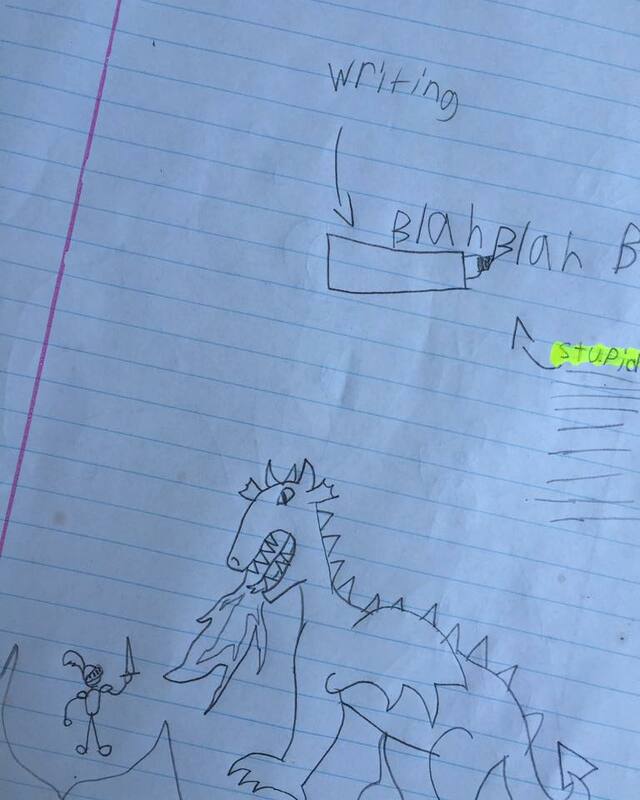 It’s true: some children (and adults, for that matter) don’t like writing. If you know the reason for the struggle you can find ways to work around it. 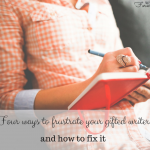 Is it dysgraphia or fine motor difficulty? Use a keyboard instead of paper and pen. Is it the translation of thought to paper? Go for dictation or voice to text. Is it a lack of passion or boredom? Use a topic of great interest or a medium they enjoy. It’s okay to be creative and use other forms of writing. Mobiles with short bursts of text or storyboards in comic format can be just as effective as long-form content. 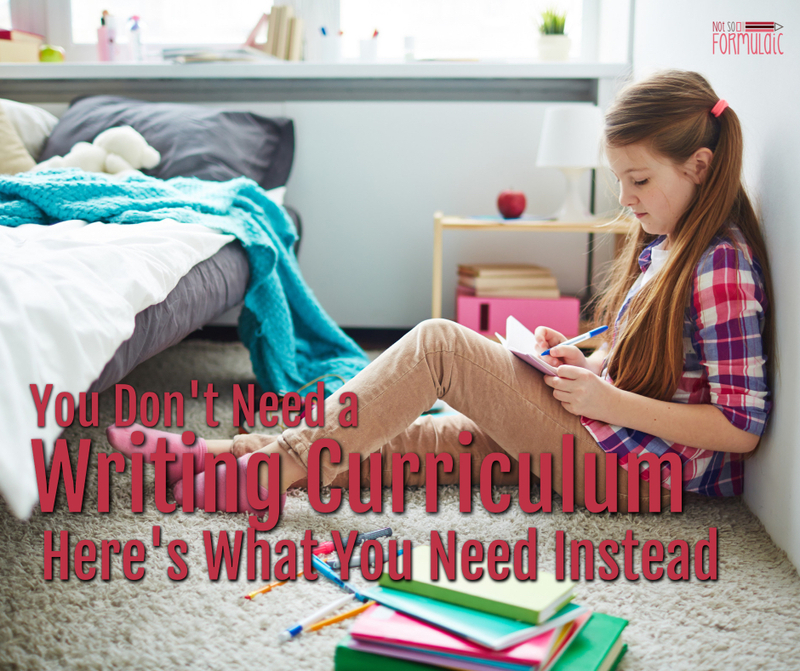 Writing without a curriculum is a lifestyle, not a format. It’s a habit you develop every day. Step out of the box and build an authentic culture of writers. You’ll let go of the fear and the frustration and emerge all the better for it. So happy I found this site! I am Catholic and started homeschooling one child last year, then added my second this year. Most of the homeschooling parents I have met so far follow other Christian denominations. The same is true for a lot of the resources found online. 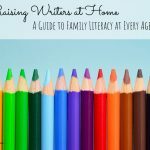 Thanks for helping to ease my anxiety wh n it comes to teaching writing!